BREAK fast in the upcoming holy month with a culinary trip around West Malaysia at Eastin Hotel Penang’s Ramadan Peninsula Buffet Dinner. An extensive range of delicacies from various states await in the promotion, served at the Swez Brasserie from June 7 to July 5, between 7pm and 10pm daily. So make plans with family, friends or colleagues to savour traditional kampung flavours cooked up by the hotel’s talented culinary team in stylish surroundings. Start off with ulam, pickles, fresh greens, rojak or varieties of kerabu like the Kerabu Sotong, Kerabu Udang and Kerabu Mangga Muda. 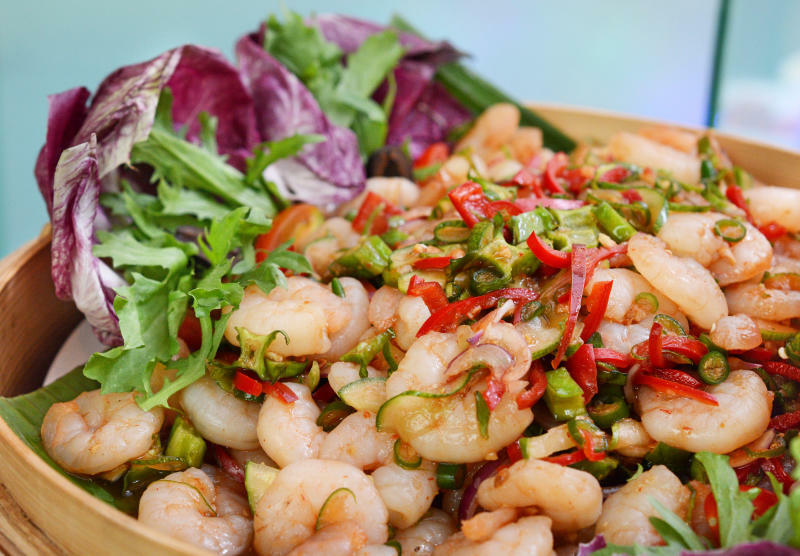 Tangy Kerabu Udang, to get your appetite going. Fried treats like Goreng Pisang, Cucur Manis, Cekodok Pisang, Keropok Ikan and Papadam await at the Jemput-Jemput corner. Head to the soup corner where you would find beef bone marrow broth, more popularly known as Sup Gearbox or the must-have Kampung Melayu Lambuk. Have the chefs carve up succulent slices of Kambing Golek, a whole roast lamb marinated with Middle Eastern spices and served with Briyani rice and eight types of gravy. 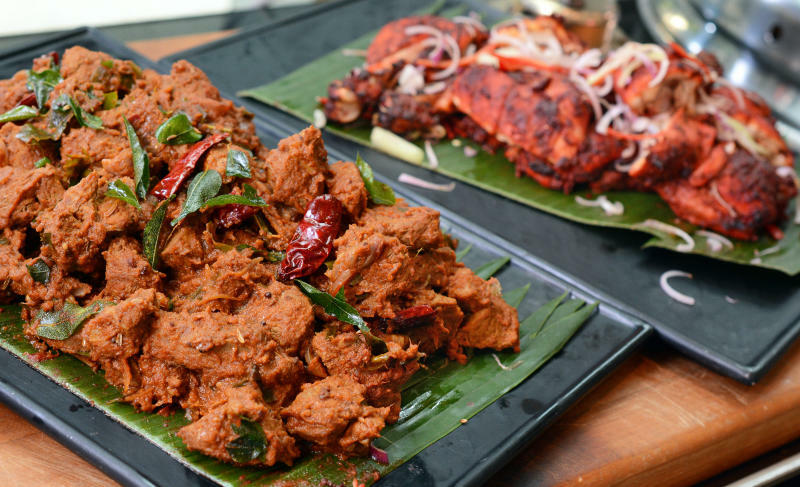 Next to it is an Indian corner offering Pinang Tandoori Tempayan, Kambing Massala Tosai and selections of Naan breads. For mains , savour northern region delicacies like the Udang Berempah popular in Kedah, Ikan Tenggiri Gulai Kampung from Perlis or Daging Kuzi Daun Pudina from Kelantan. The central and southern parts of the peninsula are represented with dishes such as Gulai Talang Ikan Masin from Malacca, Ketam Manis and Ayam Masak Rose from Johor and Sayur Lodeh from Pahang. 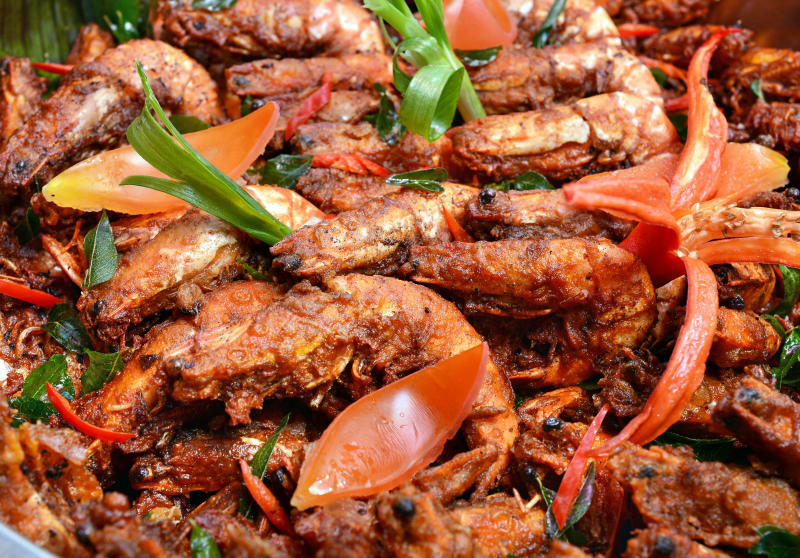 Crustacean lovers would enjoy the Kedah specialty, Udang Berempah. Not forgetting Negri Sembilan specialties like Gulai Lemak Jantung Pisang and Paru Goreng Kacang Tumbuk. All these go great with white rice or tomato rice. That is not all, as more stations offer Ipoh Chicken Rice, Penang Laksa and Bihun Sup, Selangor Popiah Basah with condiments, and the Gulai Daging Kawah Abang Fauzi. Remember to try the Lemang Pulut, Lemang Pulut Hitam, Pulut Kuning and varieties of satay too. Desserts are both local and international, with the indigenous ones being Kuih-Muih Melayu, Putu Buluh, Putu Mayam, Putu Piring, Ais Kacang Campur Tapai, and selections of Biskut Raya. 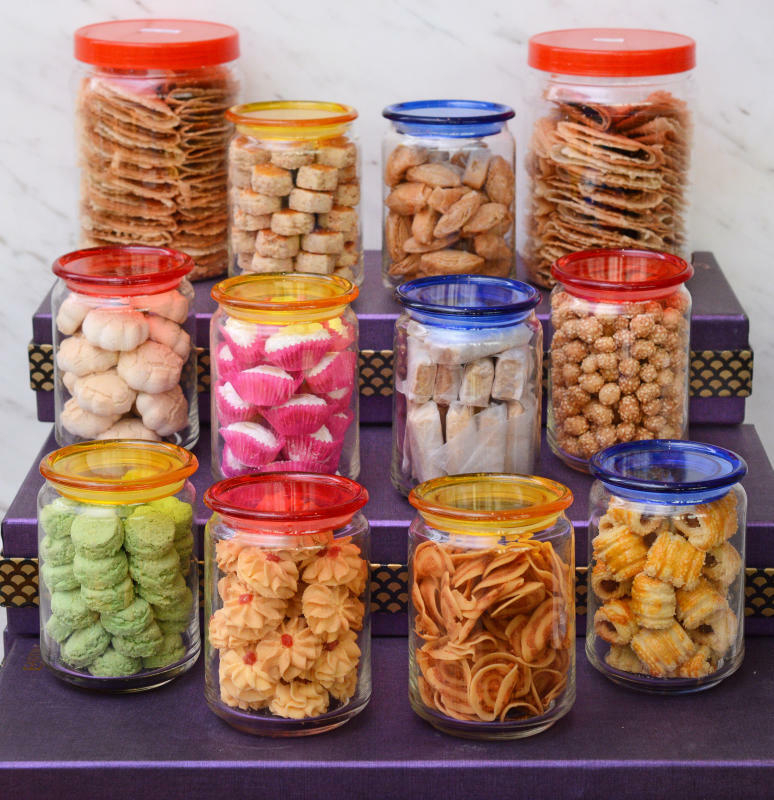 Assortments of Biskut Raya to get diners in the festive mood. Western sweets take the form of ice-cream, cakes, puddings and a Chocolate Fountain, in which to dip skewered morsels. The buffet menu is on rotation, and dishes may vary from day to day. It is priced at RM110 per adult, and RM55 for kids. Cardholders of selected banks enjoy a special rate of RM90, while senior citizens aged 60 and above get 50% off. Currently, there is an early bird promotion, whereby one can purchase buffet vouchers for just RM85, valid only while stocks last. The four-star business hotel also has a surau for Muslim diners to perform their prayers at break fast with ease. There is also a special room package at RM480 per night, which includes breakfast and buffet dinner for two. For reservations bookings, call the Swez Brasserie at 04-6121128. For room and early bird voucher inquiries, call the general line at 04-6121111 or marcom department at 04-6121127.